Most people have a glamorized notion about the Peruvian Amazon, and why not? It is one of the most beautiful and unspoiled stretches of tropical forests in the whole wide world. Yet, these very virgin forests are at risk of deforestation and denudation. New satellite images have revealed the extent of damage that the Peruvian Amazonia has endured. 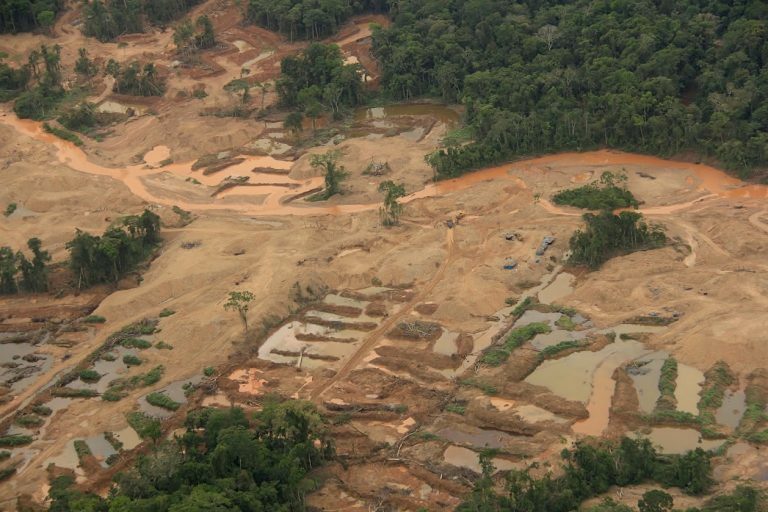 Illegal gold mining and agriculture are the main causes of deforestation in Peru. The images reveal vast swathes of forested land disappear and lie bare naked. The extent of damage is most evident in the regions of Madre de Dios, Ucayali, Loreto, Huanuco and Puno. Mongabay reports that the severely impacted area also includes the famous Bahuaja Sonene National Park. Who suffers the most from deforestation? Whenever a forest is stripped of its trees and plants, animals and indigenous communities that depend on forested lands suffer invariably. Along with the disastrous effects that deforestation has on climate change and ecological balance, the indigenous community of Kotsimba is one of the worst affected. Thousands of species of flora and fauna are also believed to be destroyed during the process of deforestation. These damages have taken place during the last year, and photographs have revealed how recently the deforestation has taken place. Urgent steps need to be taken to halt illegal mining and unrelenting agricultural practices that have begun to decimate Amazonia. Advocacy, awareness campaigns and eco-tourism can all help in halting deforestation and in bringing political attention to the issue. At Karikuy, we believe in preserving the wealth of forests and nature, wherever and whenever possible. Our internship programs can help you give an insight into the problems that indigenous communities in Peru face. It will also provide you with an opportunity to experience Peru and its living conditions, so that you can proactively help save its forests and people. To learn more about the internship and volunteering programs we offer, contact us today.